Participation in Messe Nagoya at Japan, Port Messe Nagoya had been an interesting exhibition to showcase Telematics Solution. MESSE NAGOYA was a four day event held In Japan from 8th November to 11th November 2017 at the Nagoya Port Messe in Nagoya, Japan. This event showcased huge variety of innovative products of exhibitors coming from across the globe, thus, giving an opportunity to experience specialty products, technologies and services in one venue. 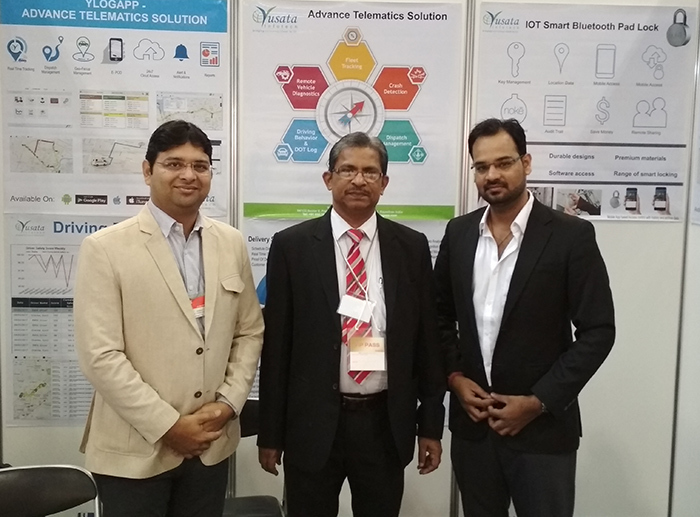 During the exhibition, Telematics products and services were showcased to the visitors and breakthrough concepts of using Smart Bluetooth Padlock - YKe and IOT to achieve better productivity and profitability for the organization as well as individual entrepreneurs. We had received warm responses from the visitors, who were interested in taking up solutions for their need; it has been fortunate to receive interest from various companies who were interested to provide Proof of Concept projects for their work. We would like to thank our delegates for making their presence at our booth in Messe Nagoya, Japan 2017.